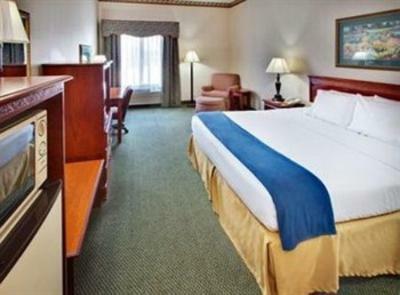 Lock in a great price for Holiday Inn Express & Suites Clinton – rated 9 by recent guests! Staff was very friendly, the cinnamon rolls were very good. A full shower with doors, not a tub with a curtain. The staff was great, very helpful and hospitable. The second best breakfast. Pancakes, eggs, sausage, oatmeal..... Just great. Front desk and breakfast staff were pleasant, engaging and genuinely caring. Liz at front desk was especially helpful in correcting a booking mistake on my part. Breakfast was excellent, room and beds were comfortable, staff was helpful and inviting. Just a real nice and relaxing stay. My kids enjoyed the pool and the Water Zoo. Staff was very friendly/accommodating. Beds and bedding were very comfortable. The breakfast was excellent. The staff is very friendly and helpful. Breakfast was very healthy and delicious. The room was really clean! Love the fact that there was a water park right next door that the kids enjoyed. The location was good. The climate control was perfect.plenty of plug ins. 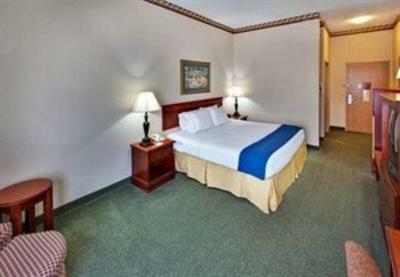 Holiday Inn Express & Suites Clinton This rating is a reflection of how the property compares to the industry standard when it comes to price, facilities and services available. It's based on a self-evaluation by the property. Use this rating to help choose your stay! This hotel is a 5-minute drive from downtown Clinton and the Oklahoma Route 66 Museum. It features spacious rooms with a 32-inch flat-screen TV and serves a daily buffet breakfast. A microwave, refrigerator and coffee maker are standard in every room at the Holiday Inn Express Clinton Oklahoma. All rooms are equipped with free Wi-Fi and a work desk. Guests of the Clinton Holiday Inn Express can enjoy free access to the indoor pool and a small gym. The business center offers fax/copy services and laundry facilities are available on site. Riverside Golf Course is 2.7 miles from the hotel. Lucky Star Casino is 3.8 miles away. This property also has one of the top-rated locations in Clinton! Guests are happier about it compared to other properties in the area. 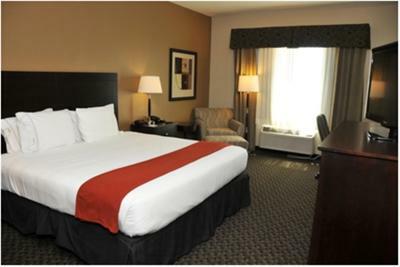 When would you like to stay at Holiday Inn Express & Suites Clinton? This pet-friendly room has a microwave, refrigerator, and flat-screen TV. Tea and coffee-making facilities are provided. A flat-screen TV, refrigerator, and microwave are included in this room. Tea and coffee-making facilities are provided. Features an over-sized work desk. Features a separate living room with sofa bed and an over-sized work desk. Features 2 TVs and a large seating area. A flat-screen TV, refrigerator, and microwave are offered in this room. Tea and coffee-making facilities are provided. House Rules Holiday Inn Express & Suites Clinton takes special requests – add in the next step! Free! Up to two additional children under 19 years stay free of charge when using existing beds. Holiday Inn Express &amp; Suites Clinton accepts these cards and reserves the right to temporarily hold an amount prior to arrival. Holiday Inn Express & Suites Clinton accepts these cards and reserves the right to temporarily hold an amount prior to arrival. Beds were a bit hard, woke up sore. Elevator was in an odd place, made getting in and out awkward with other people coming or going. Limited parking in front, limited access from the rear parking area. If you go to the address you come in on the backside of the building through a dirt drive. I wish they had better signage near the location. I would appreciate an exhaust fan in the bathroom. Could maybe at least one more shampoo and conditioner. Don't get discount for water park, for booking through booking.com. Noise, terrible cable selection, wi-fi did not work, Did not receive the room I thought I had booked. Where charged $25 per night for incidentals.